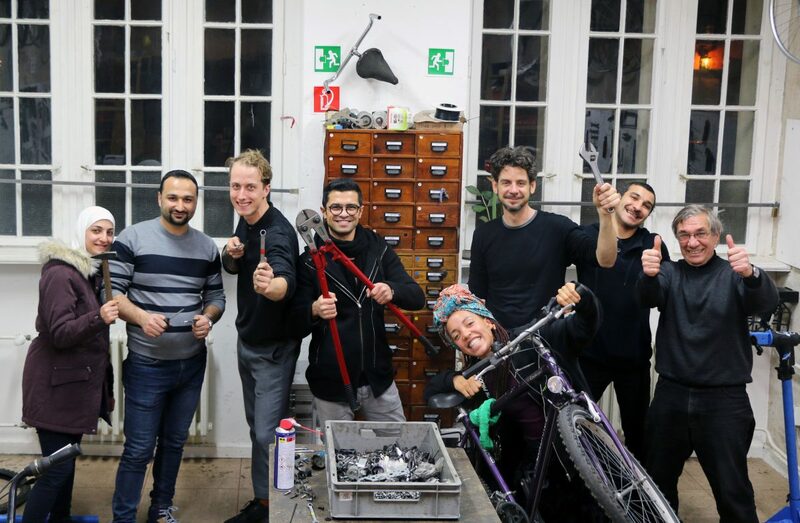 Rückenwind repairs bikes with and for people with a migrational background. In their workshop, in Berlin-Neukölln different people gather every week. Rückenwind stands for an open society, environmental mobility, recycling and the reducing of cultural barriers. Every week bikes are getting repaired and then given to refugees, friendships are made and knowledge and values are being exchanged. One until two times a week the workshop is open for everybody as a DIY repair place and the divers crew is there to support. What can you do? Donate time: The only thing you have to bring is your motivation. Donate money: The social organization is mostly funded by the support of the community. Donate a bike: They can use everything around a (children’s) bike!